TAMPA, Fla. -- Michio Kaku Ph.D., a futurist, theoretical physicist, television personality and author, will be speaking at 6:30 p.m., Wednesday, Sept. 26 at the MOSI Auditorium, across from the University of South Florida. Fans can win a copy of his newest book, “Physics of the Future,” by entering a contest on the College of Arts and Sciences’ Facebook page. After liking the page, click on the Win Free Stuff link and predict what you think USF will be like in the year 2100. A winner will be picked on Monday, Sept. 24 at 5 p.m. The book gives an expansive and exciting look at the world in the year 2100. It details a reality of Wi-Fi-enabled contact lenses, flying cars and space elevators, and projections of the developments in computers, economics, artificial intelligence, space travel, medical advancements and more. 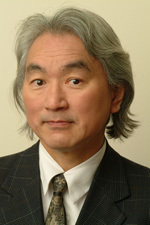 Kaku will be speaking on his theories and predictions of the development of the world in the next 100 years, shaped by physics and technology. There will be a short book signing after the lecture, where fans can get their copy of the book signed by Kaku. This event is part of the Frontier Forum lecture series, hosted by the USF Phi Beta Kappa Alumni Faculty and sponsored by the USF College of Arts and Sciences, USF Office of the Provost and Mayor Bob Buckhorn.